During LFW I was stopped by two girls from Topshop who wanted to take my photo, this is always lovely but buoyed on by this was a mature lady in a jazzy t-shirt dress, who came straight up to me after the girls had finished snapping and asked a) if I really liked Normcore and b) whether she could also take my photo (I should mention that she giggled throughout this experience). I’m guessing she was not an advocate of my style but I think like most of us she’s a little confused by the term Normcore, what I think she was referring to is in fact called Acting Basic. Normcore and Acting Basic (also referred to as ‘nineties normal’ or ‘new normal’) were coined by NY trend forecasters K-Hole. Normcore is the act of immersing yourself fully in any pursuit, fitting in perfectly to any situation; according to K-Hole, ‘It’s about adaptability, not exclusivity‘. So what I think she was really referring to was my version of Acting Basic, another of K-Hole’s concepts that was discussed in their Youth Mode report. I feel very much at home with Acting Basic. For me it’s about well-made essentials like black leather biker jackets, camel coats and cashmere jumpers, worn with torn jeans or tailored trousers, with a simple heel, white trainers or Birkenstocks; all things that I feel comfortable in and don’t stand out in as being too obviously different. Models between shows often epitomise this look, opting for a fairly generic dressed down combination of skinny jeans, plain t-shirt, leather jacket and flats. 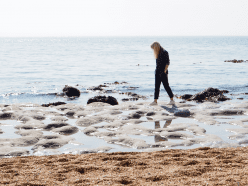 Bloggers like Camille Charrière, Lucy Williams and Ellen Claesson have found ways of taking Acting Basic and making it their own; more cool than boring basics. But, essentially it’s the nineties love-child of minimalism and grunge. 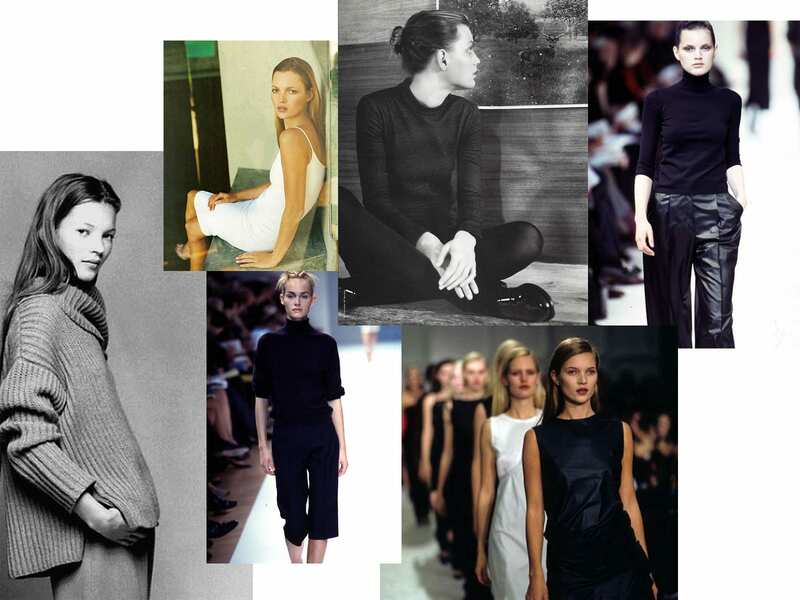 Minimalism in the nineties was about simplicity, functionality and luxury separates. Jil Sander, Calvin Klein, Helmut Lang and Donna Karen worked with understated palettes, cleansing the fashion world of the more outrageous and flamboyant eighties. Klein defined Minimalism as ‘an indulgence in superbly executed cut, quiet plays of colour tones and clean, strong shape‘. Grunge on the other hand was all torn pale denim, plaid shirts, black leather jackets, slip dresses and military-style boots; comfort over presentation. Kurt Cobain and Drew Barrymore were the icons of the era, alongside Johnny Depp, Winona Rider and Kate Moss. Denim on denim was fairly standard and a cropped top under a leather biker jacket was de-rigueur. Acting Basic is about stripping things back once again, consider Phoebe Philo’s restrained personal style, comfortable footwear like Birkenstocks and Stan Smiths, T by Alexander Wang jersey basics, oversized Isabel Marant blazers, chunky Acne knits, mum jeans and Céline loafers. Like it, don’t like it, think there’s more to it? Scroll down and let me know your thoughts in the comments section below.